Trail running race directors; please refer to the following standards for use in planning for and staging a safe and successful event. Should your event adhere to the majority of the below criteria, you may include our “Meets ATRA’s Event Standards” label on your website and in printed materials. Please be sure to link to this webpage. If you organize a trail running camp, check out our Trail Running Camp Standards page. The following companies are official ATRA event standards program partners and provide products & services to help event directors organize successful races. Athletes for a Fit Planet – Helping races of all sizes become more environmentally sustainable since 2008. Ashworth Awards – Race medals, ribbons and awards. Joe Viger Photography – Sports photography. Leslie Jordan – Custom clothing, T-shirts, hats & more. Marathon Printing – Race numbers, course markings & more. Motel 6 – Preferred hospitality partner with discounts for ATRA members. Nicholas Hill Group – Event liability insurance. Race Roster – Race registration, fundraising & event marketing systems. Trail Run Project – Upload your course maps for FREE. 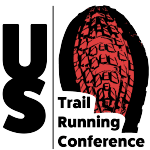 US Trail Running Conference – Education & networking for race directors & runners. The Running Event – The premier conference & trade show for Running Specialty Retailers welcomes race directors. Inaugural Trailhead Stage in 2018. What does the ATRA label mean? What benefits are provided with the ATRA label? ATRA will highlight all of the Event Standards labeled races on our race calendar (race directors can upload their event information at out Event Submission Page). Runners will know the standards as they will be listed on the ATRA website and therefore can make an informed decision about which events they choose to enter. Race Organization – The race director has thought carefully about starting an event, or assuming the responsibilities of a former race director. He or she has consulted experts in the field to ascertain whether the event is viable in the community. A budget has been created, a committee has been appointed. All necessary paperwork has been filed to create the event. A suitable event name has been considered and a marketing plan envisioned. Logistics – The event must obtain the necessary insurance and permits (for both public and private land use). Event directors must carry event insurance that covers participants’ liability and accidental medical for participants. Participant liability waivers will be included for the event and signed by all participants. Waivers should try as much as possible to outline specific dangers a participant may experience on course including, but not limited to: tree roots, uneven ground, wet areas, sandy areas, steep ups or downs, conditions that may create uneven footing, steep drop offs next to the trail, obstructed views of the course, snow or ice on course, dangerous weather conditions, flora and fauna, falling objects, other course users (such as bicycles, off highway vehicles or automobile traffic), etc. Event Information and Registration – The event provides entry information prior to the event. Brochures or online entry information may vary in type and style and are up to the discretion of the race committee. Websites can provide additional and more detailed information, but crucial information (regarding safety issues, changes, etc. ), must also be made available in printed form and verbally shared with the runners at pre event at mandatory meetings or gatherings (like right before the race start). Consider the “greening” of our sport and minimize race packets filled with paper leaflets and other race brochures. Entry limits – All events must have a set entry/participation limit and those limits must be publicly shared and adhered to in advance of the race. Reason for limits may include: safety, environmental impact or course/area logistics. Limits are often assessed by permit issuers, the race committee, or other considerations that limit capacity. No event director can provide for a quality event that is sustainable and responsible if an infinite number of people are allowed to participate at one time. Events must consider their ability to provide a fair, safe, responsible and sustainable quality event to every participant first and foremost before considering the quantity (number) of participants. The entry procedures and requirements and the selection process for determining which entries are chosen to participate (when the number of entries exceeds the set limit) must be clear and publicly transparent, especially if the race has a history of reaching its entry capacity. It is suggested that popular races with entry limits that fill up well in advance of the race date keep ‘waiting lists’ to ensure that a full field participates. Events must develop a policy regarding the trading, selling or exchange of pre-registered race entries between runners, and publicly state and adhere to that policy. Be sure to publish and adhere to any minimum age requirements for the event. Course – The course will be accurately marked and/or it will be indicated that the course is on especially rugged and/or on sparsely marked terrain. There is a course map and/or profile online, in race packets, or at the start line (or any combination of the three). Runners are made aware of what type(s) and method(s) of course markings to look for, and the color of these. Course will be marked with removable, non-permanently impacting markings. Refrain from using spray paint or other permanent markings. Removable, reusable wired nylon flags of a consistent visible color are highly effective. Mark significant turns or points of ambivalence with a directional arrow sign of visible color against a light background. Course markings should be installed as close to the start time of the race as possible, and checked prior to the start of the race (or during the race for long events) to correct any possible vandalism. When marking a route, be aware that trail runners are often looking at the ground. Ensure the nighttime markers are adequately visible either by reflective, glowing, or lighted material. Turn monitors – either designated signage, or knowledgeable and clearly designated (by uniform or vest) course marshals – should be used at confusing intersections. The course should be accurately measured using a calibrated bicycle or GPS unit, and the actual distance should be disclosed as such in all event materials. Terrain – The course must include at least 75% unpaved surface. Or the course must be an uphill-only route with a positive elevation gain of at least 9% average grade from start to finish, with no downhill section longer than 20% of the total course. It is useful if runners are provided with an elevation profile map and/or total climb and descent figures. Environment Awareness – The event must be environmentally friendly. The race must instruct runners to stay on course and not use or create social pathways or cut switchbacks. Shortcutting or littering or degrading the environment must be grounds for disqualification. Encourage or require runners to carry their own water bottle or other similar hydration device that can simply be refilled at aid stations. This avoids the unsightly and irresponsible use and littering of paper cups. The course route, and corresponding number of racers allowed on it, should be sustainable. The event should have a contingency plan that includes an alternative route, postponement, and/or cancellation if unusual conditions (mud, snow, rain weather, etc.) might result in serious safety concerns/risks and/or permanent environmental or trail damage if the race was held. The event must have a plan in place to mitigate any unusual environmental/trail damage resulting from the event. The course route is “swept” within 36 hours after the event to remove any litter left by runners and fully remove any course markings. Event directors/committee should make an attempt to position recycling/garbage bins properly and/or limit the amount of disposable waste created by the event. Consider encouraging carpooling, bicycles and the use of public transportation. Larger events should consider arranging shuttle buses, carpools, and other shared transportation for participants, race spectators, crews, pacers and event personnel. Safety – The event will include a procedure to monitor runners at check-in at race start. There will be communication on course at aid stations or other points along the course and medical support at start/finish line, and/or at various points along the course. The event must have a safety plan in place that considers any potential emergencies and how they will be dealt with. This would include the ability/plan to cancel the event as it is in progress and/or pull runners safely from the race course if conditions warrant such actions. The course and staging areas have been inspected and any abnormal/unusual hazards (remnants of barbed wire, ice, dangerous road crossings, etc. ), have either been removed or the participants have been made aware of the hazards. Runners are reminded and made aware in advance of the race (in printed race material and verbally as part of pre-start instructions) of significant and unusual hazards; such as weather, ice, other users or motorized traffic on the course, etc. Man-made obstacles on the course such as, but not limited to deep man-made mug bogs, fire pits, wall climbs, etc., that can put a participant in serious danger should not be included on a trail running course. The event adequately warns and informs the general public of the race, and uses signage, the media, and traffic monitors (when necessary) to do this. Time Limits – For the safety of runners, the public and efficiency of aid/medical/race personnel, the race must have a time cutoff. This should be clearly stated on the information materials available to the runners. For some events, realistic intermediate time cutoffs should be set at various points along the course to keep runners moving toward the finish in a timely manner. A procedure for dealing with runners who do not make any time limits should be determined, and clearly shared with the runners. Rules, Fairness and penalties – What is and is not allowed should be clearly stated in race information. Races should develop policies and regulations regarding pacing, stashing or cacheing, outside assistance/crewing, course cutting, use of poles, drug or alcohol use, etc. Any event that records and/or rewards results (records place, time or order of finish) and/or offers something of value as an award, will likely have someone try to violate or bend regulations to obtain that something. Events should be proactive in developing and publicly stating rules regarding what is and is not allowed in their race information; develop penalties for violating those rules; and fairly and equally enforce the rules and apply the penalties. Participants must travel forward under their own power without wheeled or mechanized support, must stay on the marked course, must only receive aid at designated aid stations, must obey race personnel and officials, must not litter, must conduct themselves in a civil and sportsperson-like manner, and must only use the speed of travel to prevent being passed by another competitor. An appropriate penalty would be disqualification. Dogs (and other animals)/Portable Music Players/Spectators – Events should develop responsible safe policies regarding participating with dogs, other animals that run, or portable music players, and clearly share these with the participants in race information. These policies should consider safety, insurance or permit limitations, unfair advantages, and the needs and desires of the participants. Results – The results will be timely and accurate either by hand, computerized, or with chip timing. There will be a designated person from the race committee to handle all timing and results issues. One person should be responsible for making the determination of the order of finish when multiple runners finish in close proximity to each other. The race should develop and publicly share its policy regarding determining the order of finish for intentional ties, especially when awards may be involved. Races that use chip timing should develop a set policy and publicly share this in advance regarding determining the order of finish when a disparity exists between the overall chip time to complete the course and actual order of finish crossing the finish line. A clear and effective way/procedure to handle final results disputes should be in place. Awards – Awards will reflect what has been publicized. Awards can be of various types and levels to the race director’s discretion. Overall and/or age group awards. Age groups can be defined in various increments. Prize money, if awarded, must be paid in full in a timely manner. Delivery of Goods and Services – The race must deliver everything it promises to runners Some runners today have certain preconceived expectations regarding what race events will provide (regarding aid, course marking, awards, the course, etc.) It is acceptable not to meet these expectations but suggested that race information give accurate information about what it provides For example aid stations must be in advertised spots or if there are no aid stations runners are informed in advance that the event is to be “self-supported.” Or if there are no age group awards, information should clearly state who receives awards (if anyone). The primary method of communication between event directors and participants should be consistent. (website, email, Facebook or other). Late race logistical alterations and significant changes should be imparted to participants ASAP using as many methods of communication as possible. The creation of some sort of race discussion board/website so that race management and participants can communicate and impart information freely and openly. Financial Accountability – The race should keep an accurate record of its finances. If the organizing body is a 501 (c ) 3 not for profit corporation, they may (*by IRS) be required to share the financial information truthfully with individuals upon request. It is okay to compensate key event personnel for the hard work they put into a race to make it successful. It is okay to have races serve as charitable fundraisers, but participants should know how much of their entry fee is going to the chosen charitable recipient. Races should not deceive or misinform participants or others about where their entry fees go. Additional Considerations – Race directors must view and consider the impacts and effects of their event from a more holistic perspective. This includes considering and minimizing negative impacts not only from the actual running participants, but also aid stations, race volunteers and personnel, crew members, pacers, spectators, media, etc. Impacts to local residents, businesses, communities and other trail users must also be considered. Races should conduct themselves so as not to place an unnecessary and undue burden on local resources, residents, communities, facilities or the environment. Larger races must coordinate with nearby local communities so they can anticipate, plan for and accommodate an influx of non-residents. Races should operate in a manner which makes the presence of the race a positive “win-win” situation for everyone involved, both directly and indirectly and should work with those persons or entities to come up with solutions and compromise for any problems or concerns that should arise. Example of this thinking would include events being responsible for providing/ensuring there are adequate sanitation facilities (trash receptacles and restrooms) at the start/finish, aid stations and other points along the course. Larger races should not overburden public facilities. Events should ensure that there is adequate vehicle parking for participants, race personnel, crews, pacers and spectators; and these groups must be informed in advance of where and how to park. Races should provide information about the availability of overnight lodging in the area, including camping options and regulations. Events should try to buy and hire locally whenever possible, and support local businesses. Does the ATRA Event Standards Program include insurance? No, the ATRA Event Standards Program does not include insurance but you can purchase it separately through our Trail Running Insurance Program (T.R.I.P.). However, the event should indemnify ATRA in their liability waiver should they use the ATRA logo on entry forms, event website, or other print materials. Who can apply for the ATRA Event Standards Program? 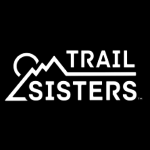 Any trail or mountain race – ultra or sub-ultra – may apply. The event organizer may apply, or a runner who has participated in the event and feels that an event is worthy of the ATRA Event Standards may apply on the event’s behalf. Simply visit the ATRA website, review the criteria, and if the event meets the majority of the standards listed, copy and paste the ATRA Event Standards label and hyperlink to the criteria housed on the ATRA website. ATRA members may also apply for an Event Standards label on behalf of an event. When can an event apply for the ATRA Event Standards Program? At any time during the year either before or after the race has been held. ATRA Event Standards labeled events will be updated monthly, or as necessary, on the ATRA website. 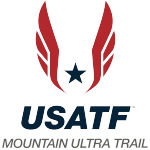 If the event has a USATF sanction, does this mean it also has the ATRA Event Standards label? Although ATRA is a member of USATF, this does not mean that your event is automatically “Event Standards labeled by ATRA.” A USATF-sanctioned event can certainly obtain the ATRA Event Standards label; just be sure the event adheres to the criteria as outlined above. Can a first-year event apply for the ATRA Event Standards Program? Yes. If the event meets the criteria and the organizers have a proven track record of organizing a quality event, utilize the ATRA Event Standards label. Can an ATRA Event Standards label be revoked? If someone (typically this would be a race participant) sends a note to ATRA, or it is determined that a race should not be ATRA Event Standards labeled, ATRA will review the complaint for discussion at a special board meeting. If it is determined that the Event Standards label should be revoked, the race will be notified of this and given an opportunity to correct the reason for the revocation. If our event is denied the ATRA Event Standards label, can the event reapply? Yes. Provided the criteria are met, the ATRA label will be granted. What if an event meets some, but not all of the ATRA Event Standards criteria? In order to use the ATRA Event Standards label, the event should adhere to the majority of the criteria listed above. Is there a cost for the ATRA Event Standards label? There is not a fee for the ATRA Event Standards label, but it is encouraged that an event become an ATRA race member for $75 (or a corporate member starting at $150) annually which will include, among other benefits, a bold highlight in our online race calendar. Step 2: If your event meets the majority of the criteria outlined (at least 12 of the 15 criteria), copy and paste the ATRA label/logo below and place on your website and/or in your printed race materials with a hyperlink to the criteria on the ATRA website at this link. Step 3: Let ATRA know (contact richardbolt at trailrunner dot com) that your event is using the ATRA Event Standards label so it can be included on the ATRA online calendar. Step 4: Consider joining ATRA as a race member. Visit our membership page for information on becoming an ATRA race member. (Athletes may also request the ATRA Event Standards label on behalf of an event). This document last updated November 9, 2017.